Thanks to the organizer of this link exchange program: Mommy Willa. Ang ganda ng Alexa rank mo... I don't know how to make my blogs as high as that. Hello fellow blogger! 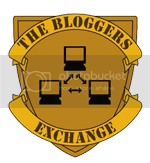 Visiting through the Bloggers Exchange. visiting from TBE...agi ko kadali!